Hosanna in the highest, the glorious day of Palm Sunday was spent at the Cathedral. 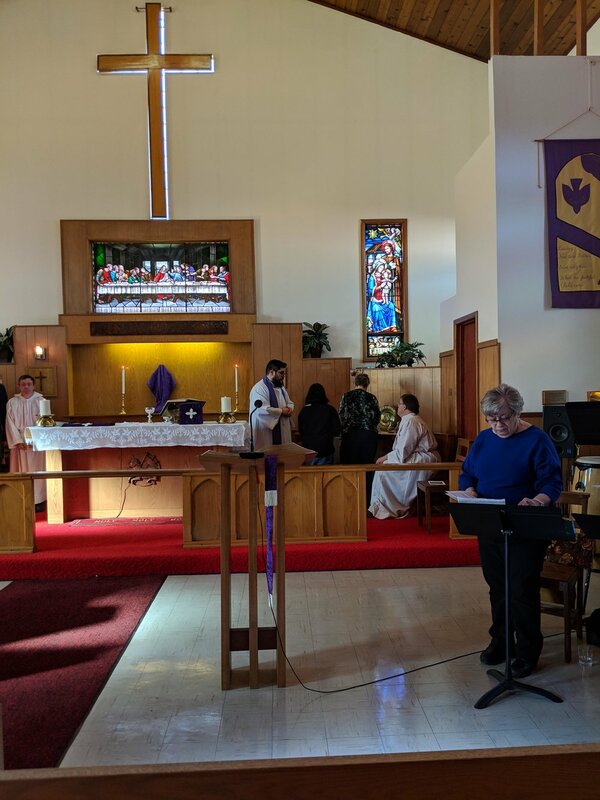 We had two services of Blessing of Palms, and Holy Communion. 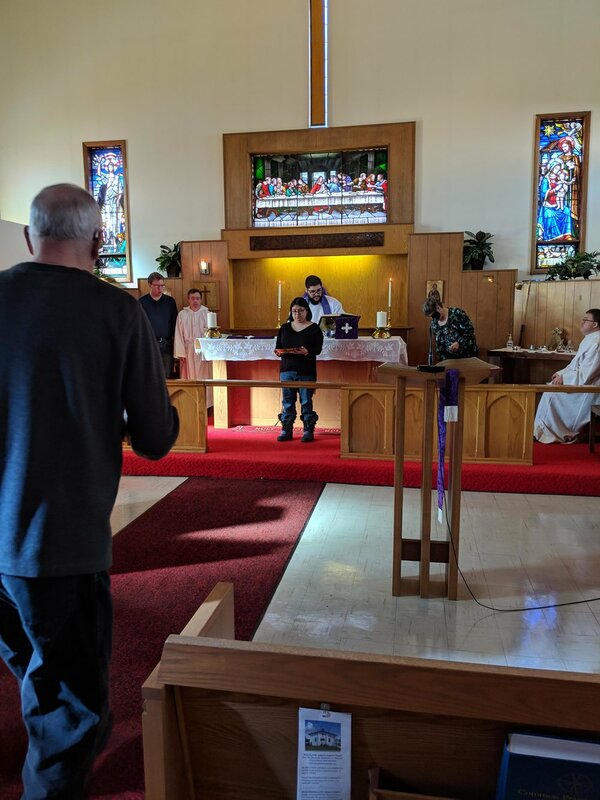 At the second service, we had a joyous procession with smiles and song, and the children learned to make palm crosses in their classes. 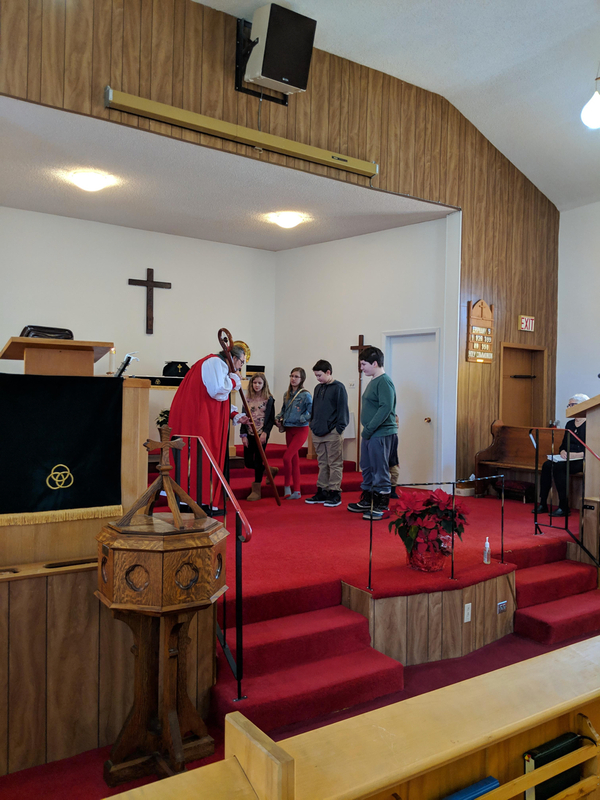 Fellowship and hot cross buns followed the worship time. It was St. Matthew’s spring supper of Ham and Scalloped potatoes, and pie, glorious pie. Excellent musical entertainment by the German Concordia Band, (guess who one of the drummers are). It was an evening of great food, music and visiting and even a bit of dancing. 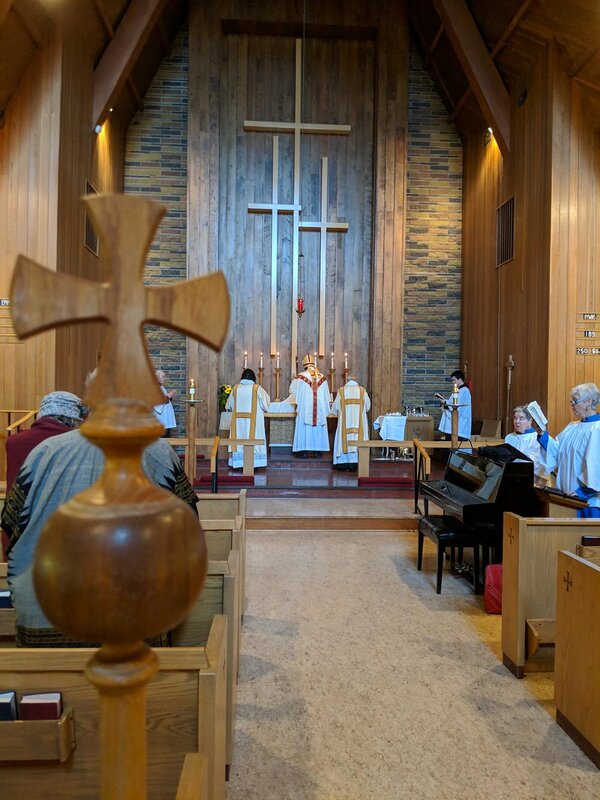 This Sunday we worshiped in the Lutheran church of Augustana, which is a gathering place for Augustana Lutherans and St. Timothy Anglicans. The church has some beautiful stain glass but the most amazing part was the singing. The resounding voices sung with gusto to our Lord. We started the evening with a lovely light dinner put on by the youth of the cathedral. Followed by a solemn, introspective service of the Imposition of Ashes and Holy Communion. With it being the first day of Lent, and a time to start our self examination, I didn’t take any pictures. 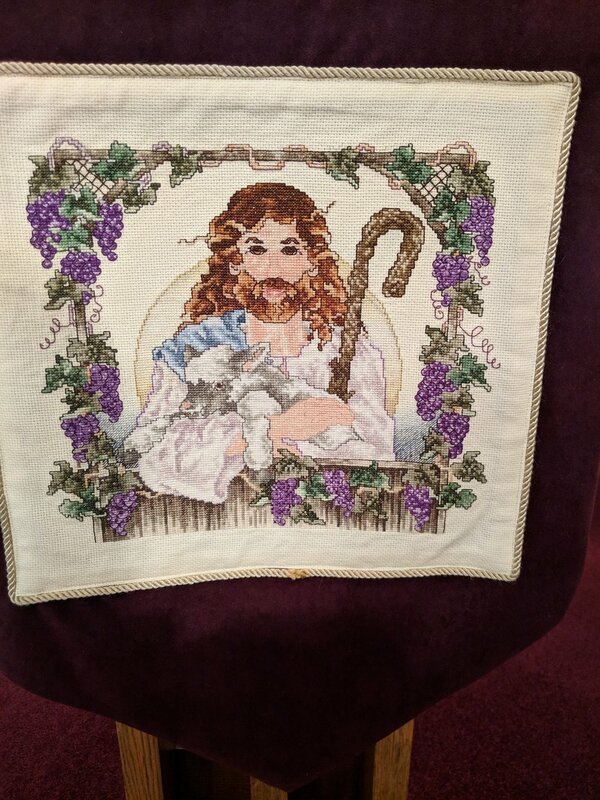 I listened to the readings, and remembered “I am dust and to dust I will return.” May we all have a blessed and holy Lent, filled with prayer, and self examination and patiently wait for the rising of our Lord and Saviour on Easter Morn. 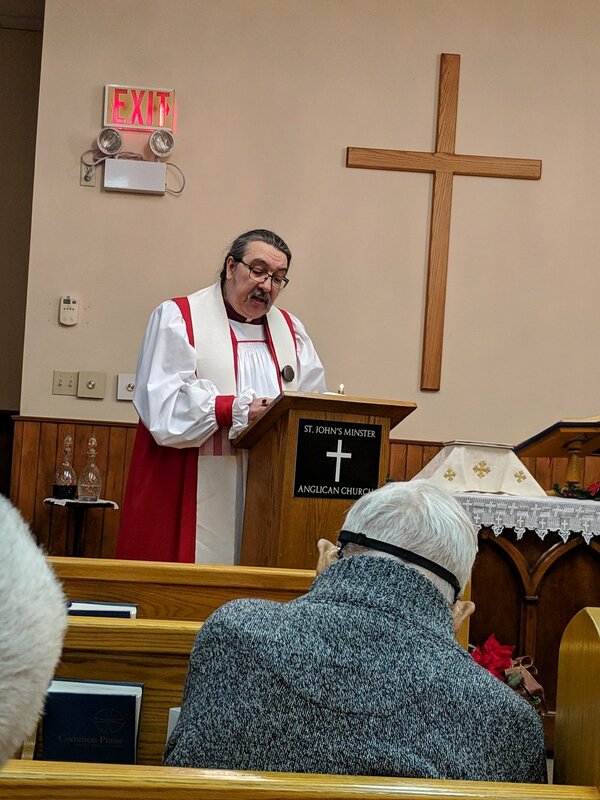 By the grace of God, we were able to get back out to St. George’s, the weather was not bad, extreme cold warnings, but we live in Saskatchewan. 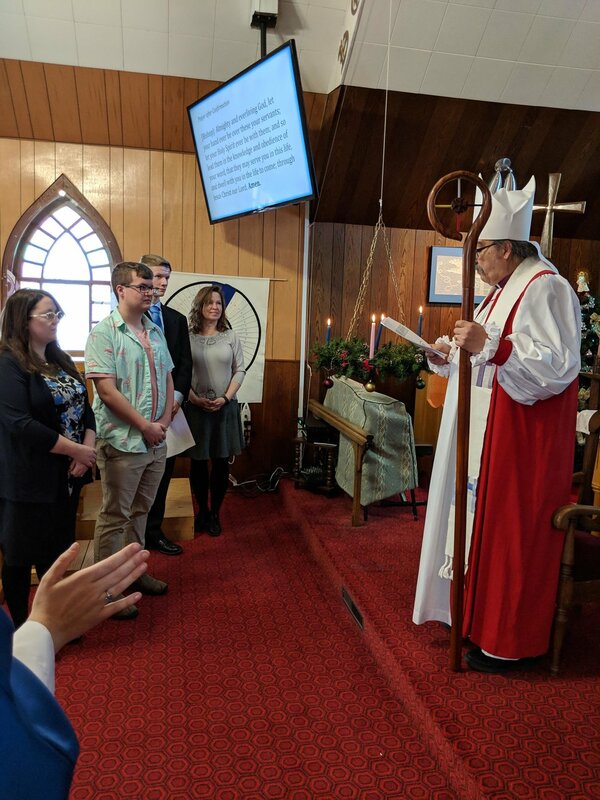 The service was one of Holy Baptism and Communion; it is always exciting to see an adult make the choice of baptism. Wishing her, many blessings and a glorious adventure in the choice she made today. 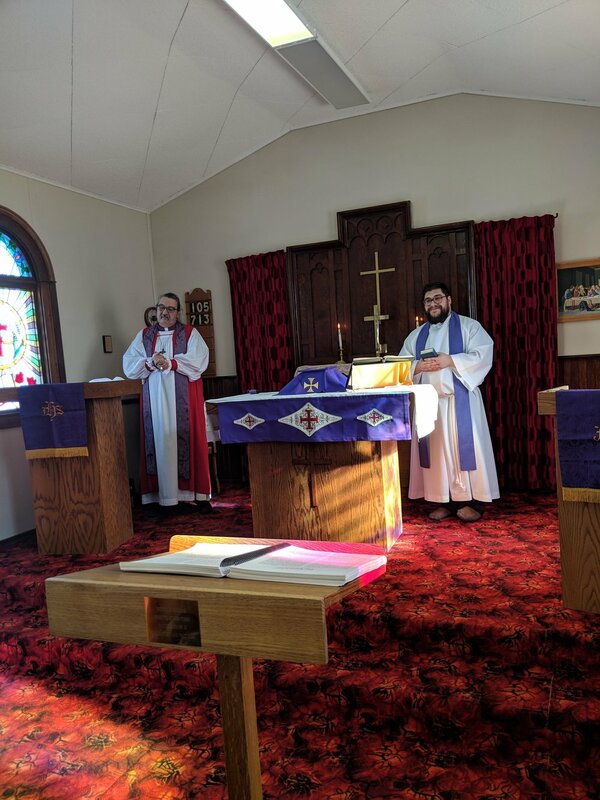 As we entered the church, I first noticed the amount of natural light coming in and the way the rays shone across the back stained glass windows. 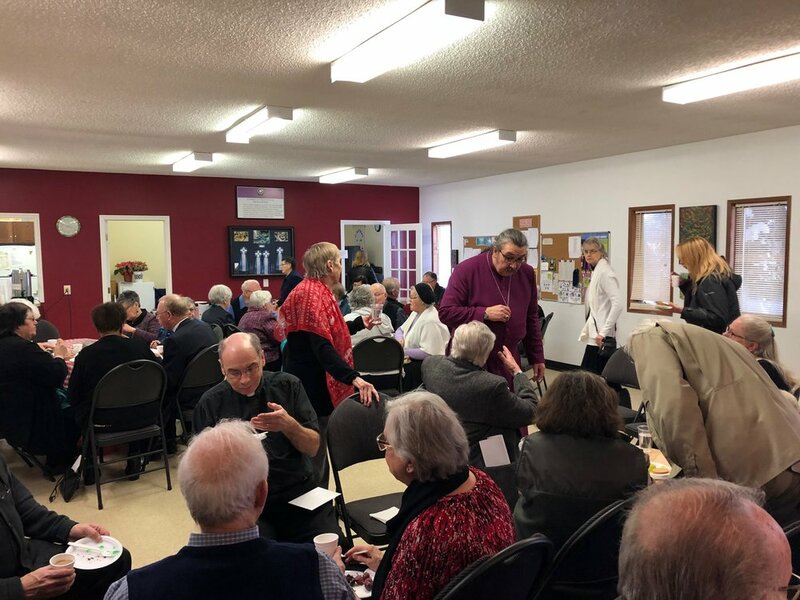 We celebrated Holy Communion, enjoyed fellowship, and tasted the delights of a large table of goodies. 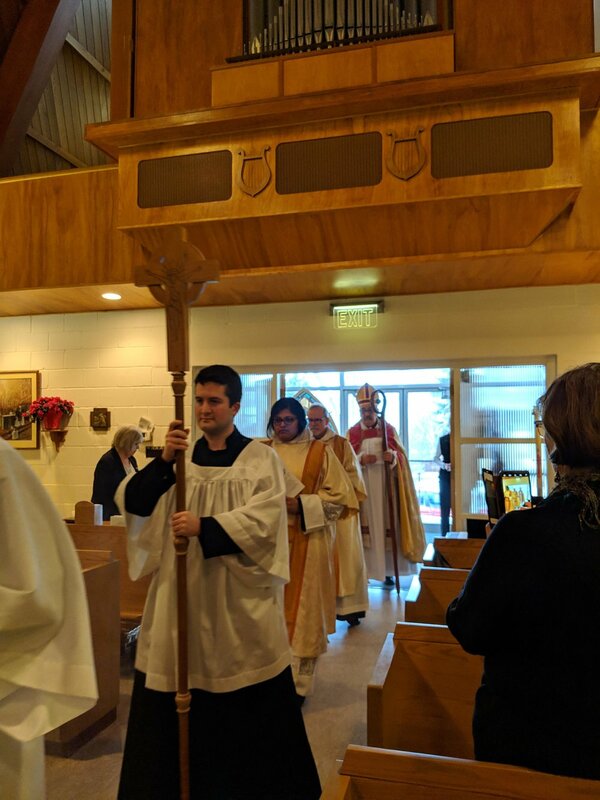 The most noteworthy and exciting event of the past month, at St. Matthew’s, has got to be Sunday’s installation of the Reverend Canon Alex Parsons as our half-time priest. 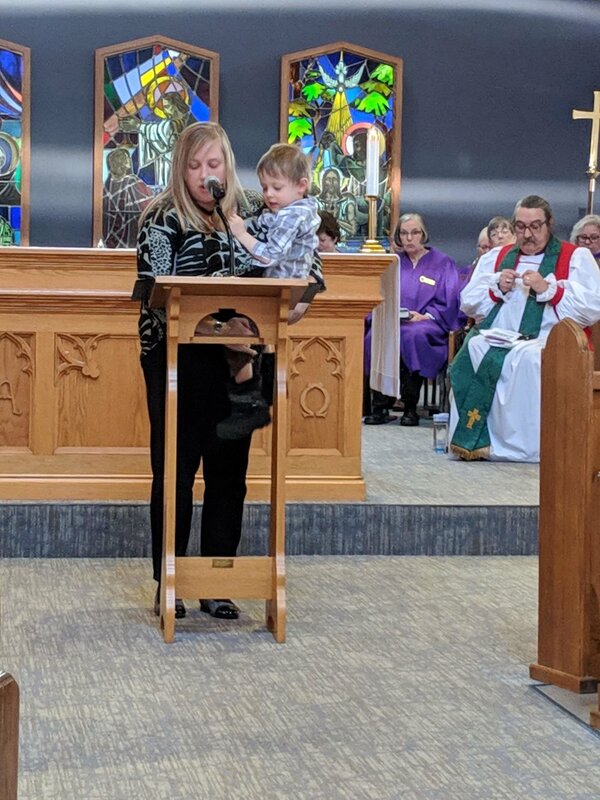 It was a beautiful service, made even more beautiful by the feeling of family that pervaded the entire building. 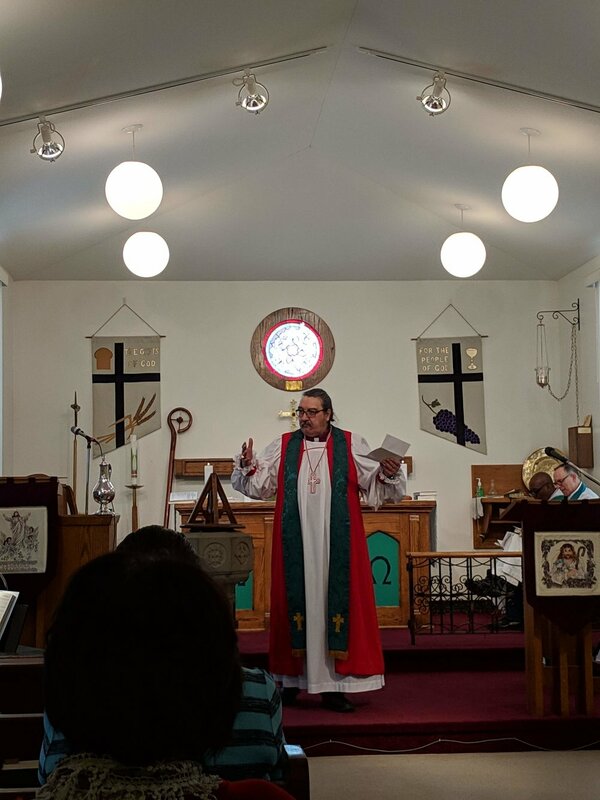 Bishop Chris Harper’s homily was enlightening, spiritual and entertaining. 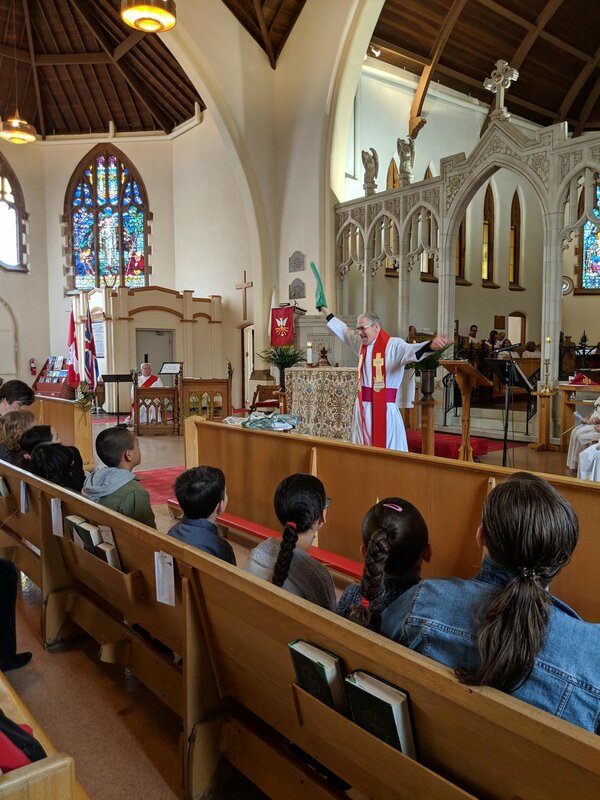 The participation of many of our parishioners made it a special time for those honoured to assist. The reception afterwards gave everyone a chance to chat and reconnect with those friends not seen regularly. Thanks to everyone who made the afternoon so delightful. The event will be remembered as a highlight of our church year. 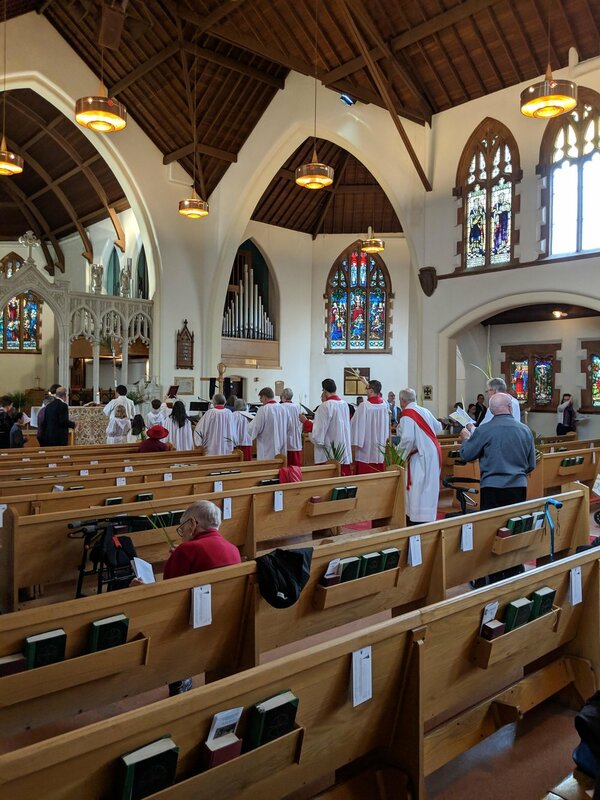 We got to stay in the city this Sunday, with the service at Holy Trinity, Saskatoon. The service started with Bishop Chris leading us in the hymn, “Ten Thousand Reasons”. He taught the children, big and small about the crozier (shepherd’s staff, staff, as we found out it has many names). 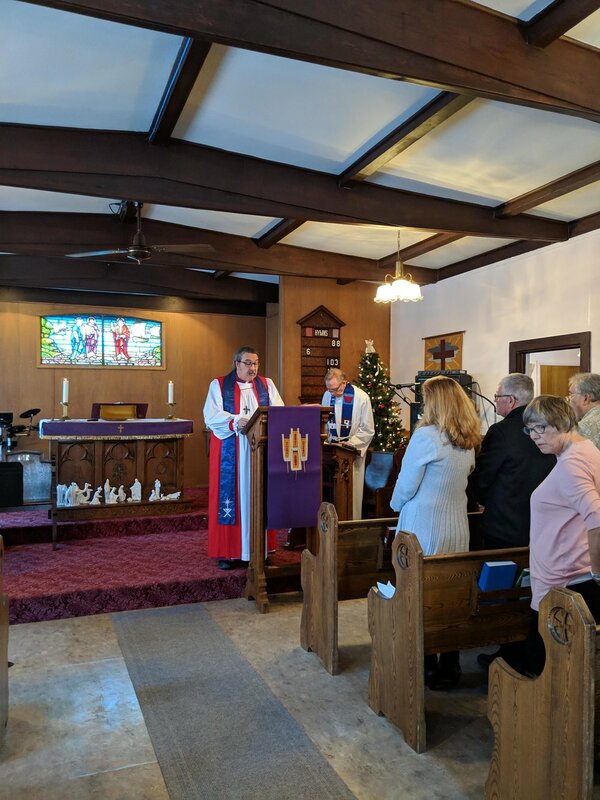 The service continued with Holy Communion, followed by fellowship, and some excellent homemade soup. 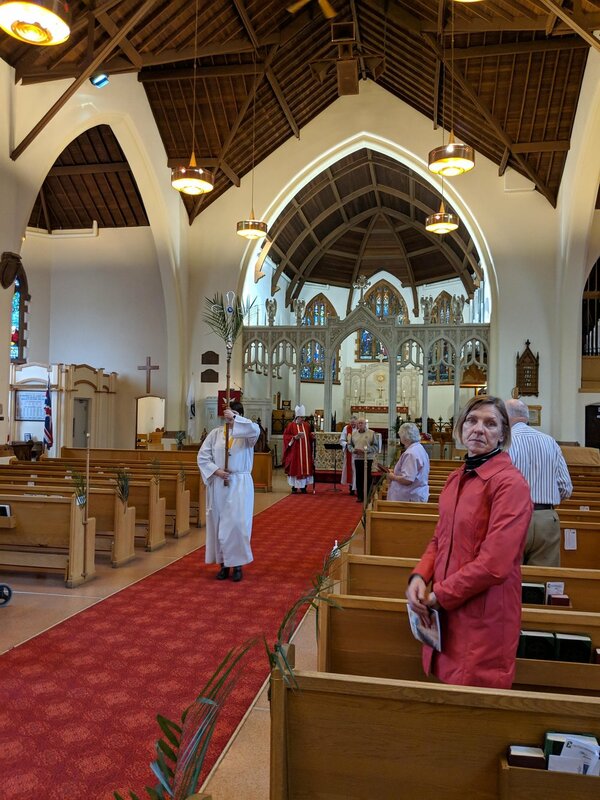 We got to stay in the city this Sunday, and went to All Saints, Saskatoon. 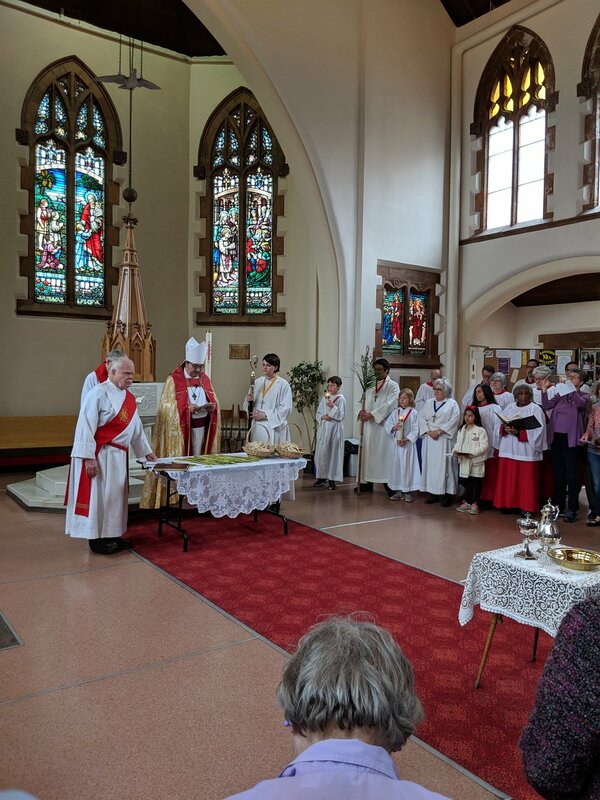 Here we had a Candlemas service with procession using the BCP liturgy and incense. It was wonderful to use the little purple book again. 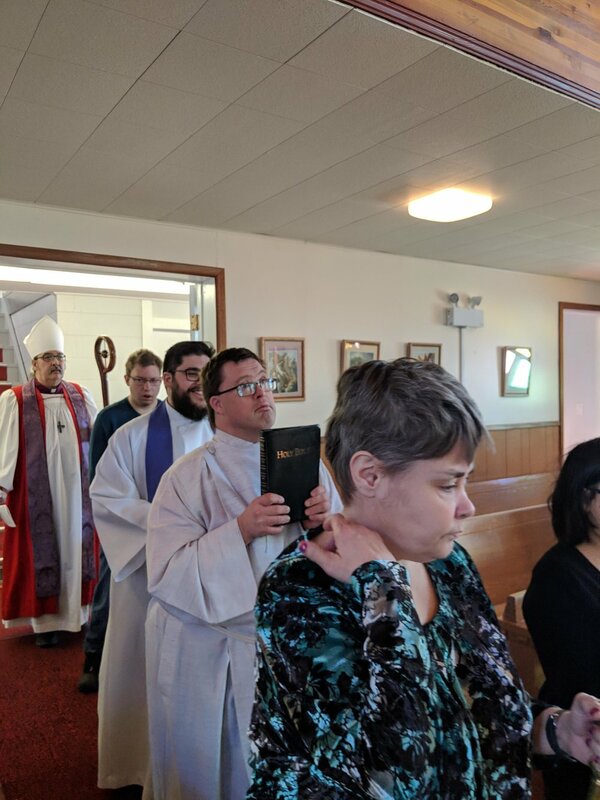 It was a service, which allowed us to use all our senses during worship. After service we had fellowship, snacks, and some Q&A time. 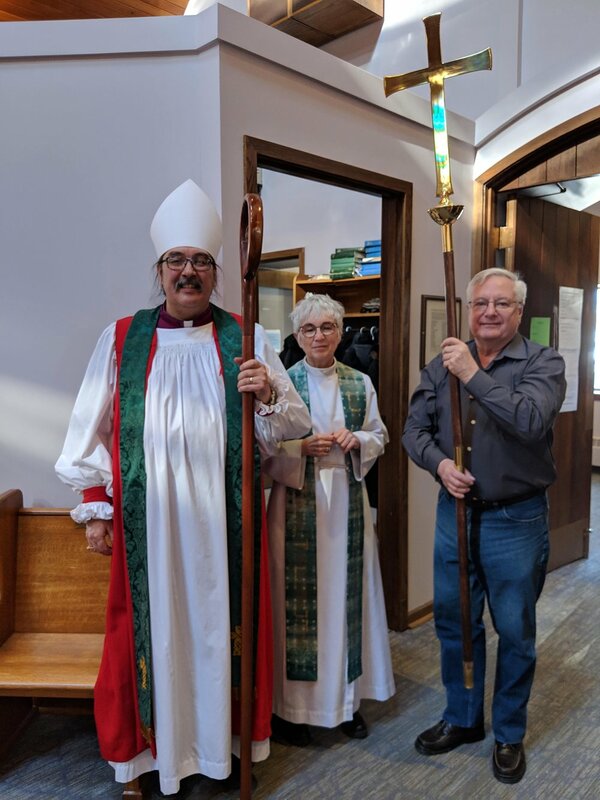 Big Snow Storm hit Saturday the 26th, so Bishop Chris stayed over in North Battleford after his meeting. 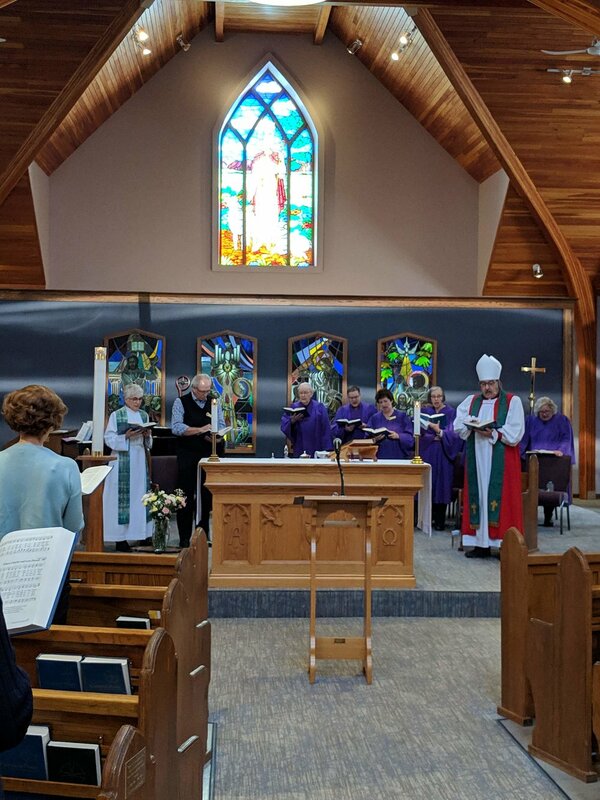 On Sunday the service was held at St. George’s Battleford. Sorry no pictures, no photographer. 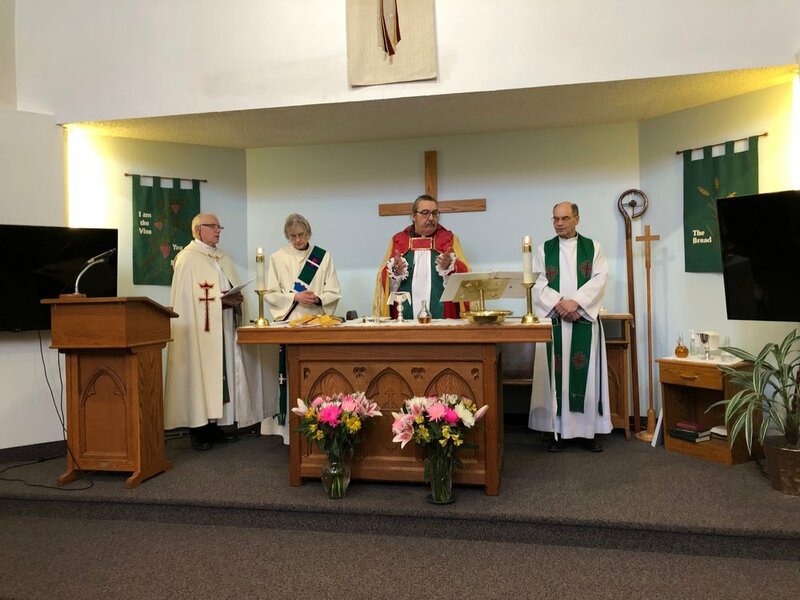 NOTE: anyone who attended this service and took pictures, please send them to us at anglicansynodwebsite@sasktel.net and we will add them to this post. 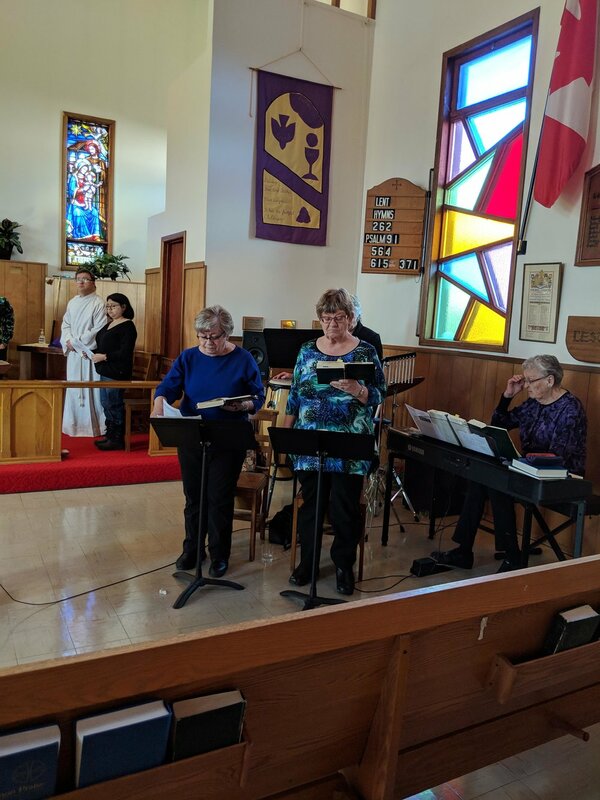 We are on the road to All Saints Anglican in Watrous. 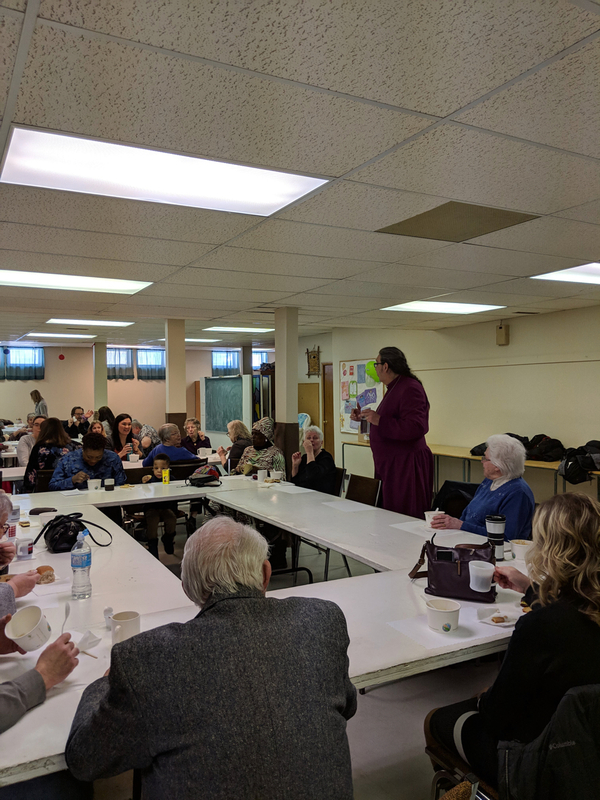 This community is an Anglican/Lutheran share ministry. 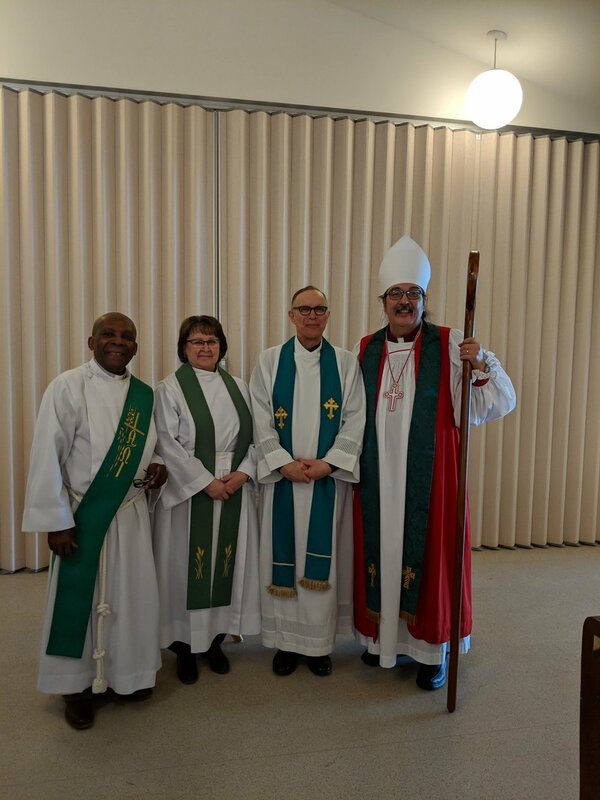 We celebrated Holy Communion and the signing of the Lutheran Anglican Communion agreement, at All Saints Anglican Church. 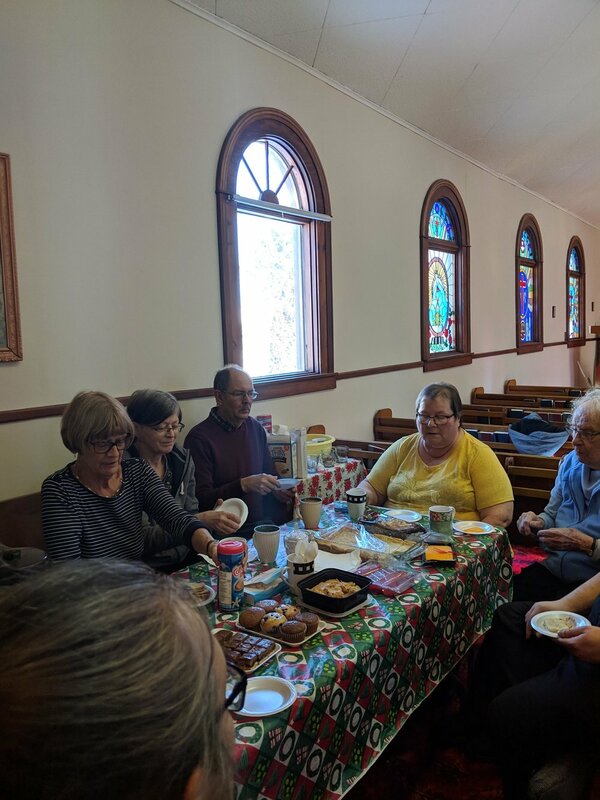 This was followed by a potluck lunch and fellowship at Our Redeemer Lutheran church, just down the block. 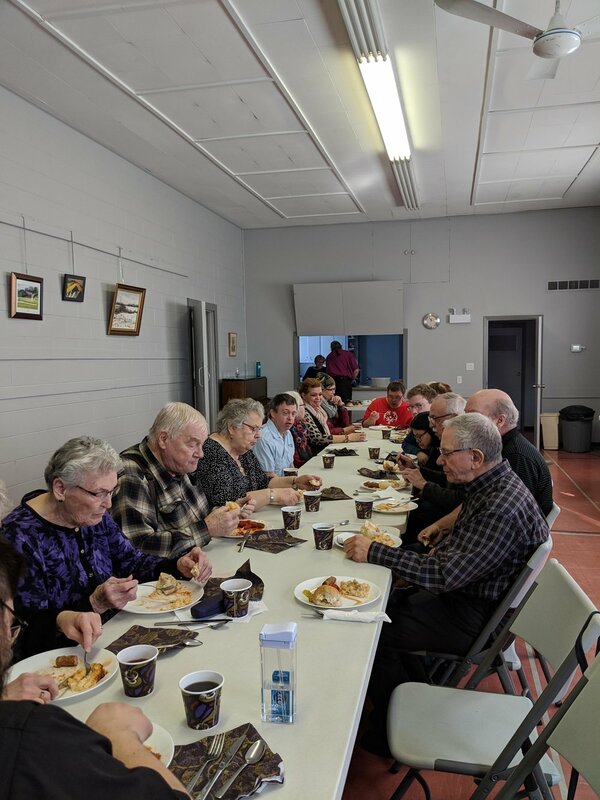 We ended the afternoon by attending the Potluck and Mingle, with the folks of Watrous. It was a very lovely day, and we had an uneventful drive home that night. Can you believe it! 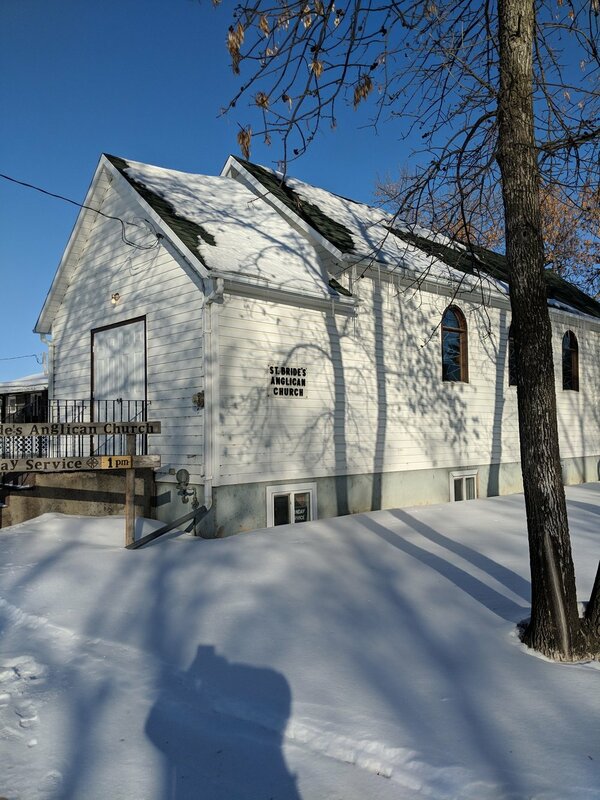 It’s already the new year and I wasn’t able to go to All Saints Lashburn. 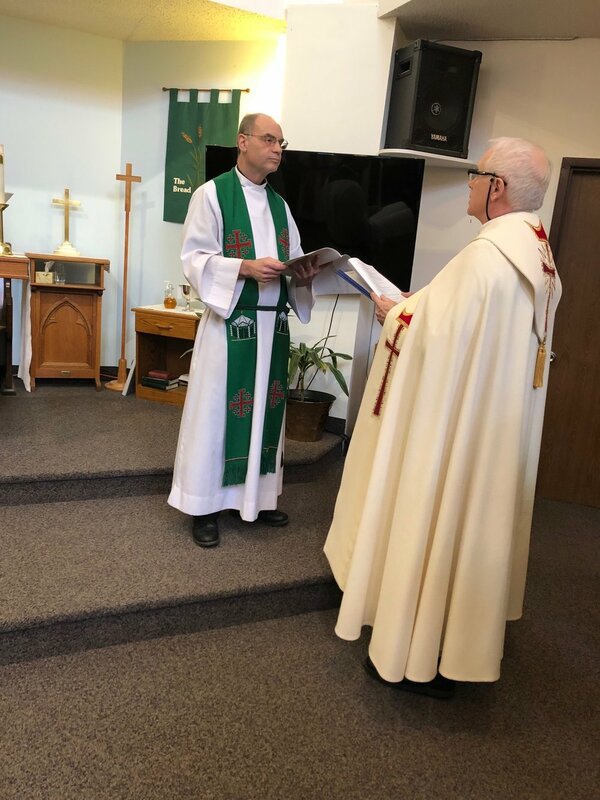 It was a service of Holy Communion with blessing of the new door. 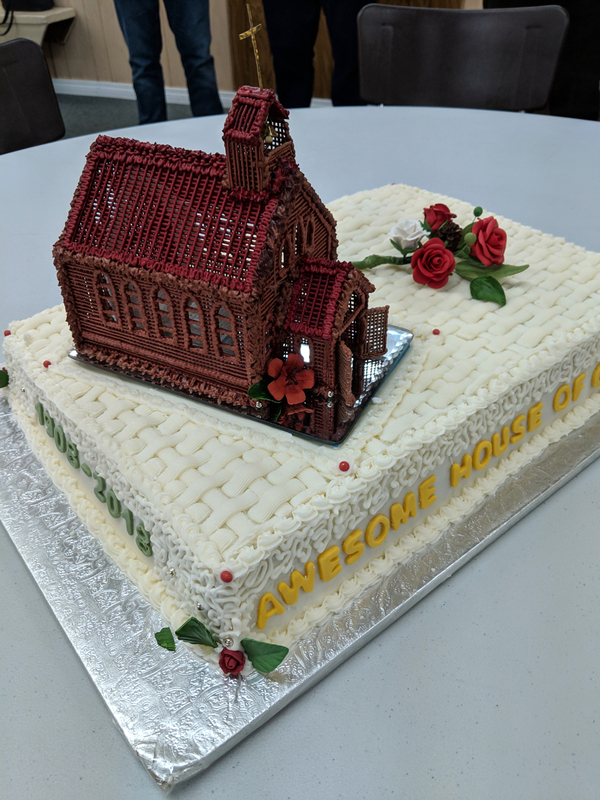 And cake! Our next stop on our journey was to the Border City and St. John’s Lloydminster. Two services of Holy Communion, with fellowship and food after the service in the hall. St John’s is close to family, so we were able to have a quick visit with some of them. 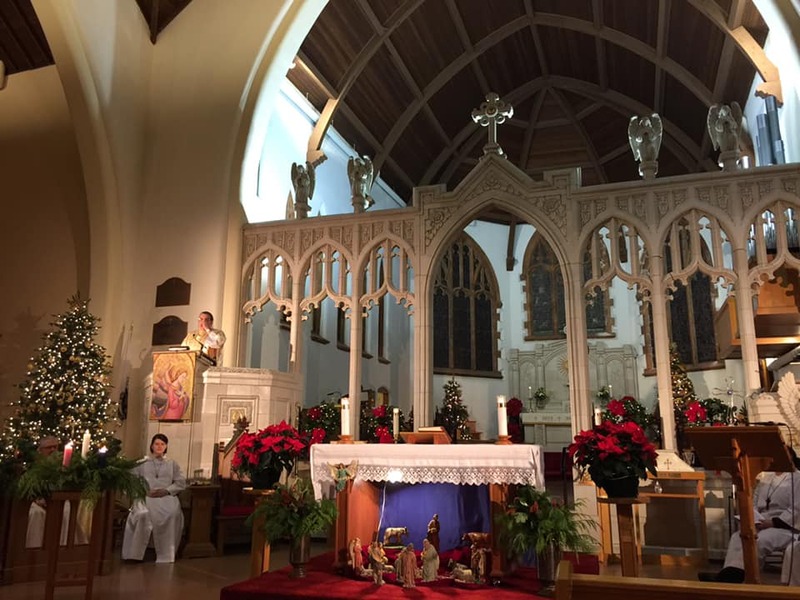 We had two services at St. John the Evangelist Cathedral: the first was a family service. At that very special service, we had Santa Claus leave a present at the manager; it was a very moving moment. 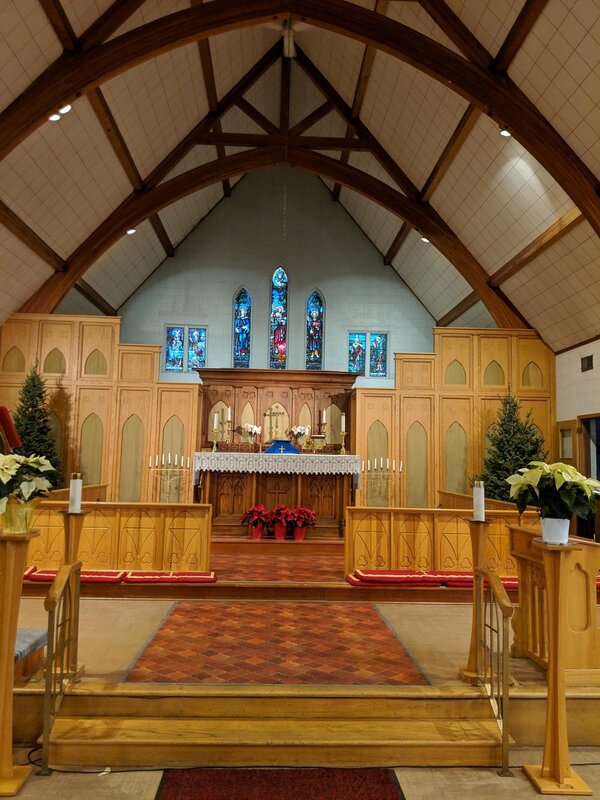 The second service was steeped with tradition: hymns, the procession, and the glorious moment when the church bells were ringing, right at midnight, to bring in Christmas morn. 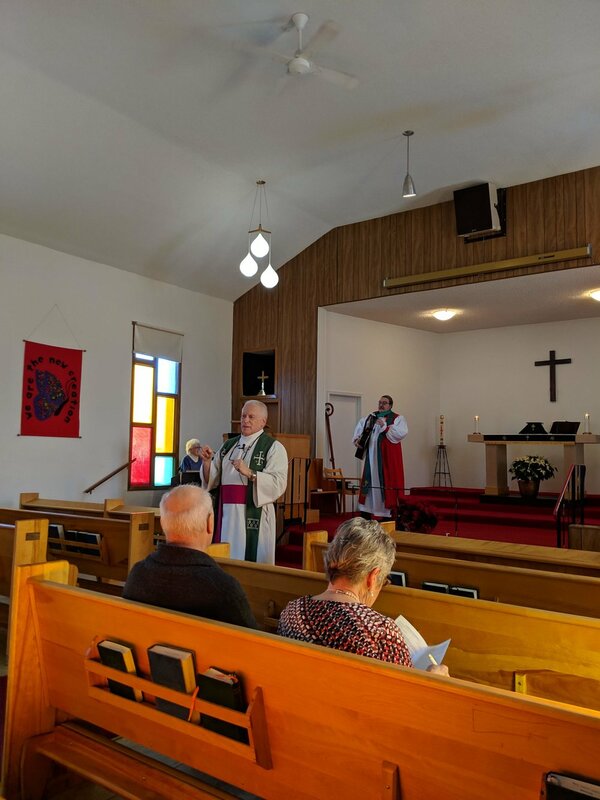 We continue our adventure with a trip to Pike Lake, to the community church of St. Martin’s which is only a short drive from Saskatoon. 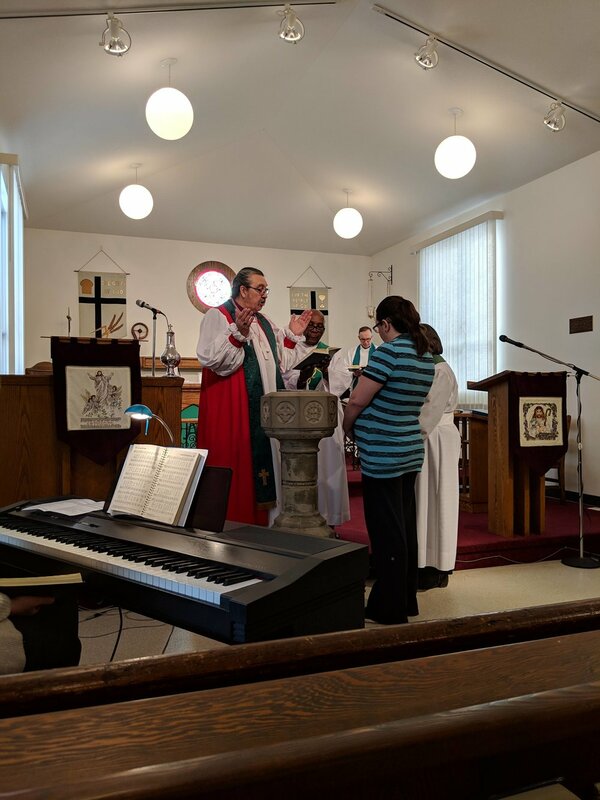 We had a lovely Communion service with worship music. Fellowship, food, and tea followed the service: unfortunately, we had to leave before the community’s ecumenical variety entertainment afternoon started.